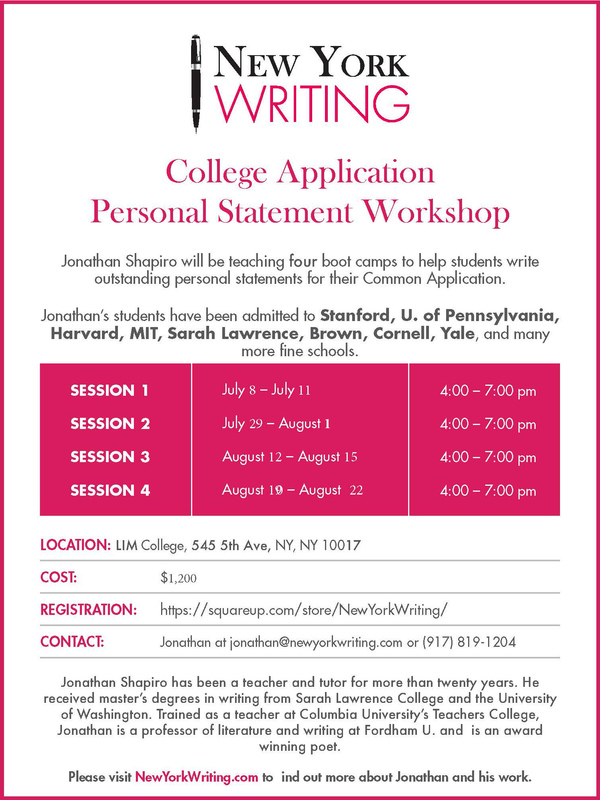 Jonathan will be teaching four workshops the summer of 2019 to help students write outstanding personal statements for their college applications. The classes will take place July 8 -11, July 29 – August 1, August 12–15, August 19–August 22. To reserve a spot, please contact Jonathan at jonathan@newyorkwriting.com or call 917-819-1204.